Observe Precisely and completely describe the relationship between line f and line f'. Play with the applet below, then respond to the prompt that follows. 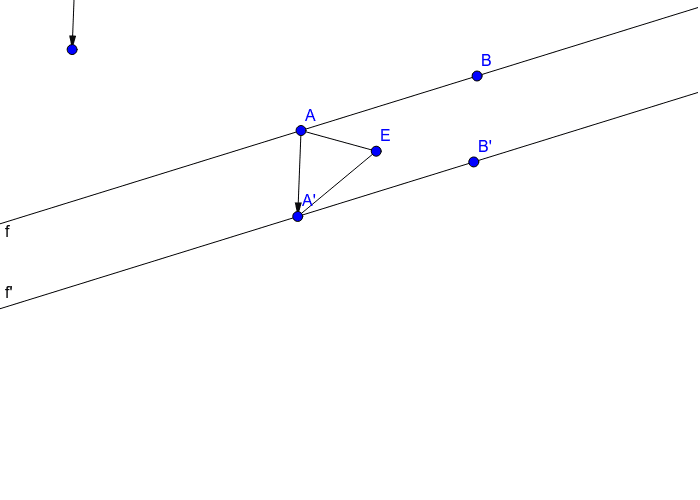 Conjecture In geometry when we think something is true but haven't proven it yet, we call it a conjecture. Consider angle AEA'. 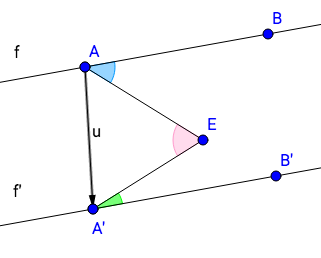 What do you think its relationship is to angle BAE and angle B'A'E? Write a conjecture.